If driving to Lake Elsinore to see the wildflower Superbloom sounds like a headache, you can always just share the view from above. The before and after images shown here are from satellite images published on the Sentinel Hub. The "before" is from March 2018 with the after, showing all the color of wildflowers was captured on March 19 of this year. 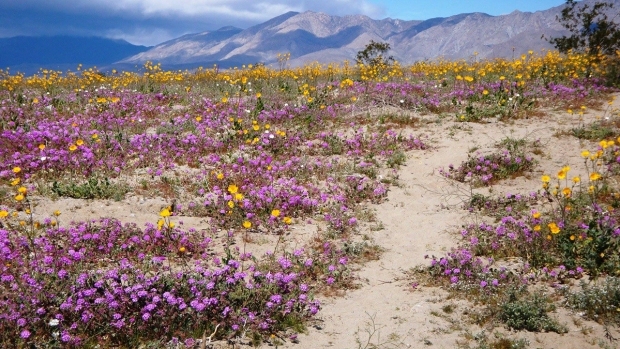 Wildflower enthusiasts have been patiently waiting the annual bloom to return to Southern California and thanks to a consistently wet winter and cooler-than-normal temperatures in the region, the bloom is robust – and may even last a little bit longer than usual.